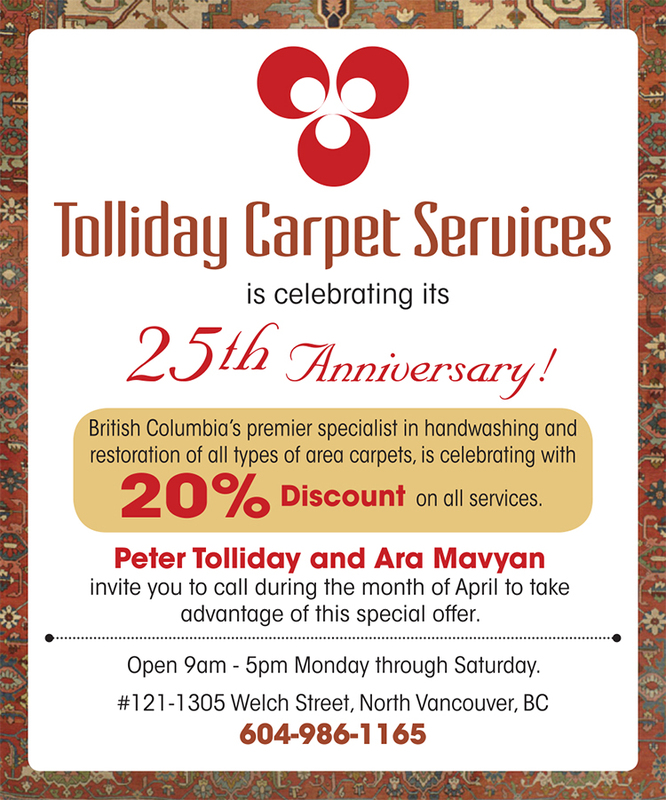 We are the most experienced dedicated carpet cleaning and repair facility in the Lower Mainland and Vancouver Island. We are also experts at carpet restorations and repairs. With over 20 years experience, Partner and Master Repairer Ara Mavyan draws on his Istanbul training to provide invisible repairs to all types of handmade rugs. We have an extensive in-house inventory of wools and other materials, imported from all rug weaving areas, and can carry out careful dyeing with vegetable and synthetic dyestuffs to allow for accurate matching and recreation of damaged areas. We have expanded and now have a 4000 square foot cleaning plant located in North Vancouver. Over the past two decades we have established a reputation as some of the finest and most skilled carpet professionals — contact us to find out how we can take care of your valuable carpet service needs.